Add to the growing list of climate heroes Leonardo DiCaprio, U.N. Messenger of Peace for the Climate, who has promised to save the porpoises! The AP announces that he will work with Mexican president Enrique Nieto and billionaire Carlos Slim to protect the Upper Gulf of California where the last of the 30 severely-endangered vaquita porpoises live. Here is more information on our five-foot-long friends of the sea. Still, we sincerely hope that porpoise photo ops follow. 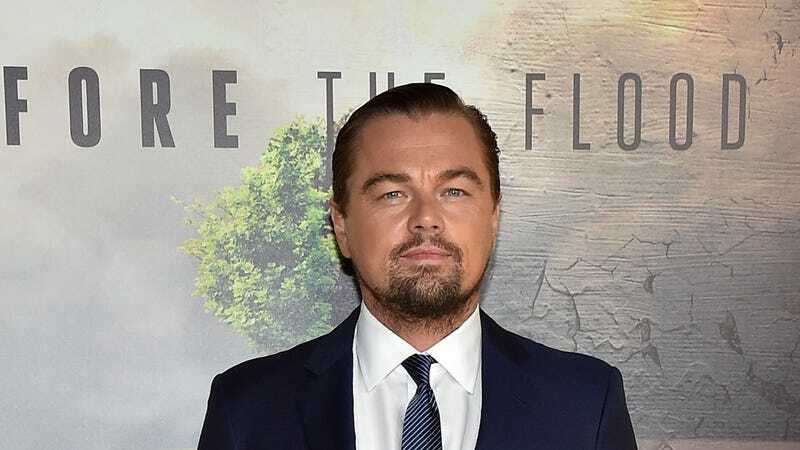 Leonardo DiCaprio talks about climate change in his recent documentary Before the Flood, which you can watch in full on National Geographic here. After an obligatory year, another Bachelor couple, Lauren Bushnell and Ben Higgins, have broken up. This means that out of 33 couples produced by both The Bachelor and The Bachelorette, only eight remain. Which leads People to wonder–what could possibly have gone wrong? At the end of the day, there was a lot of hurt and pain. It was a rocky road from the start. It just didn’t feel right anymore. But for some reason it didn’t work. I think Ben said this at some point, but there just wasn’t that joy that should be there and that was there at the beginning. The distance tore them apart. Looking back, I wish I could be like, ‘That’s why it didn’t work out.’ But I think it was just a very abnormal situation and one that unfortunately … I mean we tried. Did You Know Trump&apos;s Treasury Secretary Helped Produce Wonder Woman?